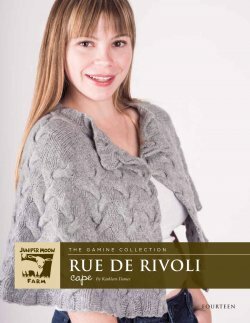 Check out some of the garments & designs found in Fourteen - Rue de Rivoli Cape. FINISHED MEASUREMENTS Collar: 22"/ 56 cm. Hem: 48"/ 123 cm.